Canadian tech blogs are celebrating as the ctizenry there will have the chance to try out the world's thinnest 10.1" tablet very soon. The Toshiba Excite is heading the Maple Leaf way in January according to Toshiba's website for a price yet undisclosed, but speculation is that it will actually be available for purchase February. Just a refresher - the slate is 0.3" (7.7mm) thin with 19.68 oz (558 g) of weight, making it the thinnest and lightest for the screen size tablet available. It still sports 5MP rear and 2MP front cameras, has miniUSB and microHDMI ports, as well as a microSD card slot, with 16GB or 32GB of internal memory. We are talking iPod touch slimness, which is a remarkable achievement, considering that the slate is crafted out of single sheet of aluminum, not plastic, for added rigidity. The world's most anorexic slate runs Android 3.2 Honeycomb, and is powered by 1.2GHz TI OMAP4430 processor. This is the same silicon that runs Android Ice Cream Sandwich on the Samsung Galaxy Nexus, so rest assured ICS will be coming to this baby after launch as well, as TI's chips are already optimized for Google's latest mobile OS version. Hopefully we will see the slate in the US soon as well, or you can just play the Old Smuggler across the border. Watch a quick overview of the slate in the video below from the times it was codenamed AT200. Meh, its only marginally lighter then the Tab 10.1, i would rather my tablet be powered by a Tegra 2 graphics chip then the 540, Hell I'd rather have an adreno 220 then the 540. I guess with ICS it doesn't matter though, but I really hate Toshibas keyboards. Not the exact same processor as the Galaxy Nexus, this one has the TI OMAP 4430, and the Nexus has the 4460. But it does have the same processor as the RAZR. I have owned toshiba's laptop computer for over 15 years and they are always top quality for the money. 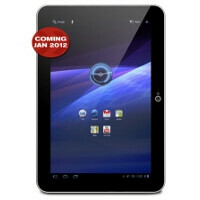 I have been waiting on a top level tablet and for me, this look like the one. I am running a Satellite, Qosmio and a Mac pro on my home network; I look forward to adding the Excite at200.